I've started to notice that one of the few birds I can photograph in really strong high angled sun is an egret. 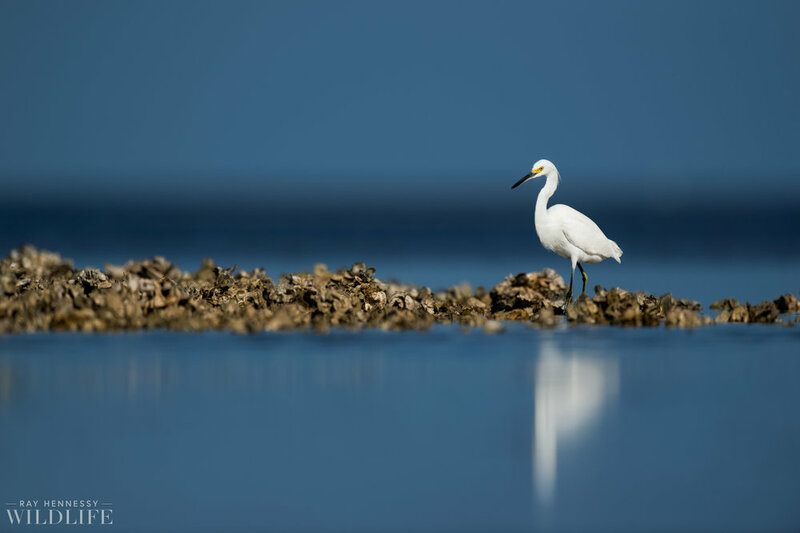 The bright white Snowy Egret in this case handles the strong sun rather well and the shallow water and shells under it refected up enough light to make an otherwise horrible lighting condition passable. I chose to share this photo mainly because of the setting. I've never seen an exposed oyster shell bed (I think that's what it is) like this and thought it made for a really cool texture and habitat for the Snowy Egret.